Item number 2762/12 from the MOA: University of British Columbia. 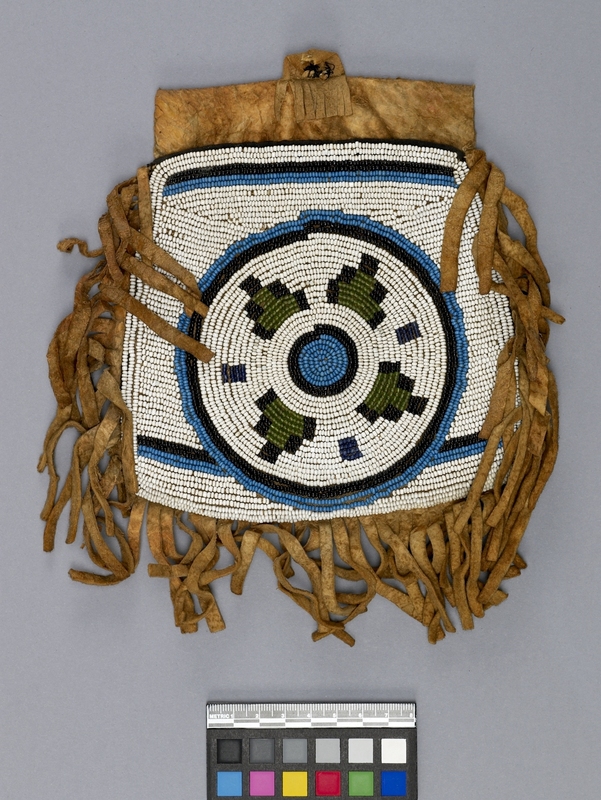 Flat rectangular beaded skin bag with long flat fringes. 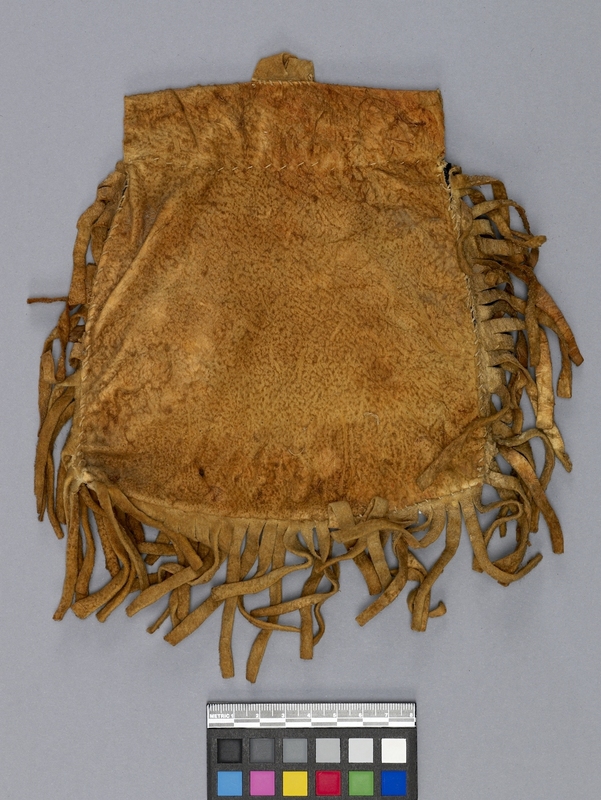 The beaded light brown fabric panel, with black fabric edging, and a longer skin panel are sewn together on three sides, leaving the top open, and the top of the back skin piece is folded forward and stitched along the edge to created a belt loop. The design within the white bead background is four black-bordered green triangular shapes around a blue centre dot inside a large black and blue circle.